Andrei Jegorov had lived in St. Petersburg since 1887 and did not arrive back in Estonia until the early 1920’s when he was already over 40 years old. He continued the traditions of the Russian school of painting. Yet oddly enough, Jegorov’s version tied in well with the Pallas Art School spirit while being somewhat more realistic and placing somewhat less emphasis on colours. 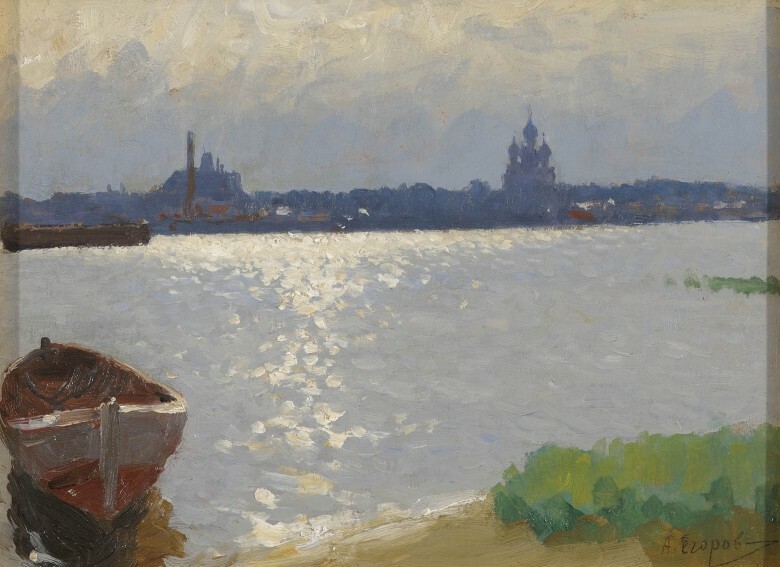 He was nevertheless accepted among Estonian artists as one of their own and he participated regularly in exhibitions. It is natural that sea themes are widespread in Estonian art. There are several works connected with sea themes and life along the seashore in Enn Kunila’s collection as well. Working people often set the tone in these works: fishermen cleaning their nets, women repairing fishing nets, etc. By contrast, this work is a romantic view of the sea. Andrei Jegorov’s creative work was realistic in terms of genre but he was interested not so much in seeing daily life in its harsh reality, but rather in embellishing and romanticising it. Views of working class residential districts form a separate chapter in the history of Estonian art since social criticism and taking up positions in terms of social matters were expressed through that genre especially in the 1930’s. At the same time, Estonian art has never been particularly social. Romanticising and attempts to capture the specific atmosphere of the working class district set the tone in views of working class districts as well. This is also the case with Andrei Jegorov, who often focused on winter motifs. 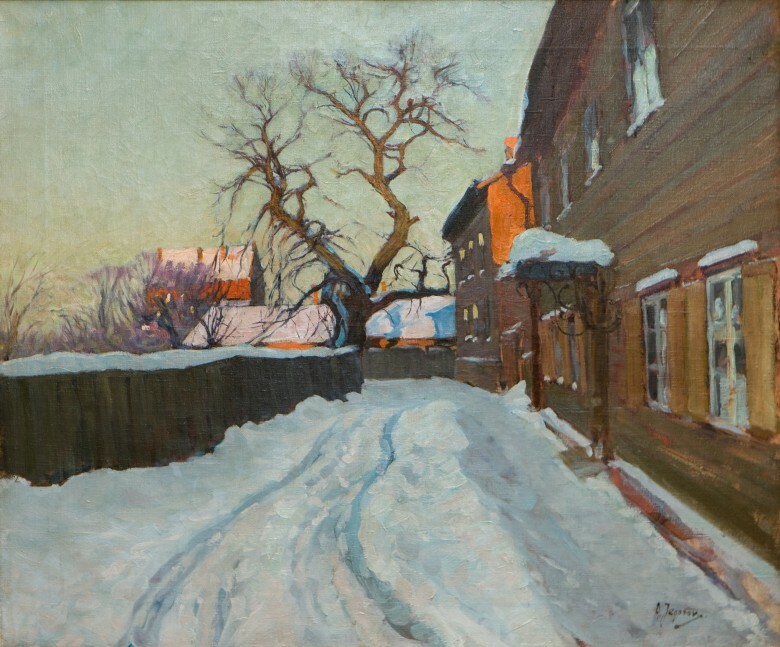 Jegorov frequently turned to depicting the old towns of Narva and Kuressare at the beginning of the 1920’s when he was already in Estonia. He also often travelled, worked and vacationed in summers on the coast of Northern Estonia (Narva-Jõesuu, Võsu, and elsewhere). 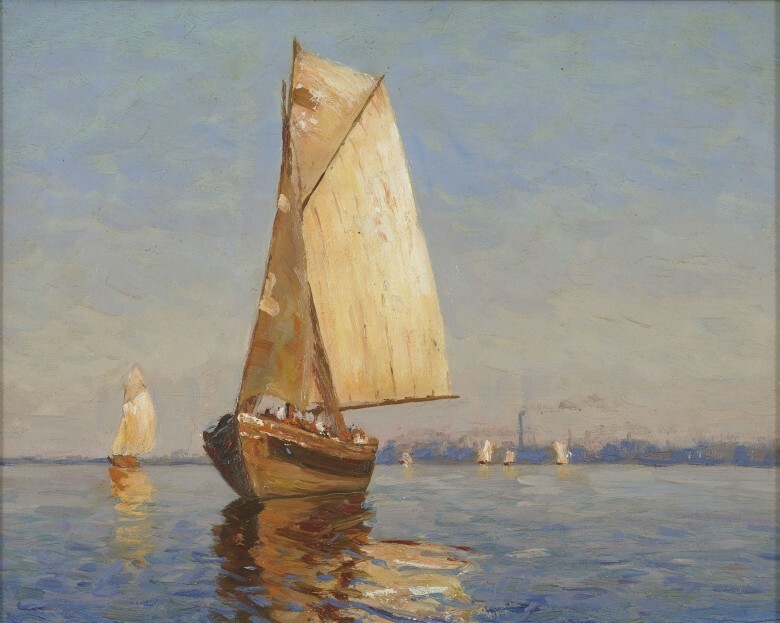 He depicted sailboats on the bay in Narva-Jõesuu and Tallinn in paintings. Of these, works on Narva-Jõesuu completed in the mid-1930’s come to the fore.